Add one more beautiful kurti in your wardrobe from beautiful collection that Snehal Creation offers. This piece is specially made to wear for casual outings and meetings . It is embellished and has three fourth sleeves. It goes with fascinating fashion and style statement that you want to make along with comfort. The gala patti has unique threadwork in red, black and white underneath aban collar. 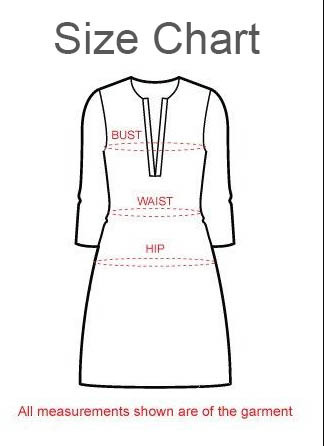 The sleeves of the tunic are red with a red border at the base.